And NO, I’m not talking about filling out surveys and selling your old stuff on ebay! 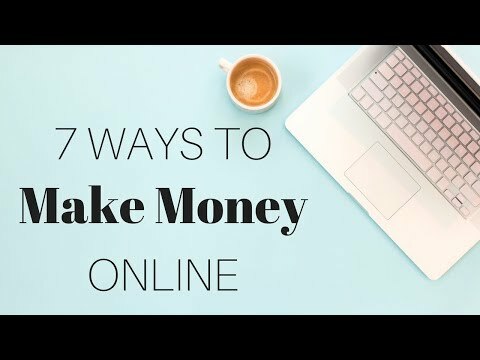 Watch this video to learn the top 7 ways to make money online and actually earn a LIVING. Great information. I would add for musicians, selling music on itunes or your album in the bio is a great way to make money online. I also add a disclaimer in my bio for affiliate marketing for transparency. Great site and info Gillian. Thanks. Hi what do you think about teaching English or another language online for Italki or any other company? Writing and publishing e-books is one of the best and fastest ways to make money online hands down. I was wondering if it’s possible for people who has very little views and subscribers to make $100 a day? Great video Gillian. You’re very helpful with your your content that you share.Thank you. Ebooks would be my choice. Great video! I have made money full time through affiliate marketing and I personally believe that these tips definitely work for people who are new to online business organization. Thank you Gillian ,you're so awesome for sharing so much good info!! These are great! You could also have mentioned trading Forex or cryptocurrencies. Those seem more risky than the others though. Thanks for your insight Gillian. You definitely should do a video on Amazon selling. Gillian, I’m interested in learning more about starting a membership site. Thank you for the video!